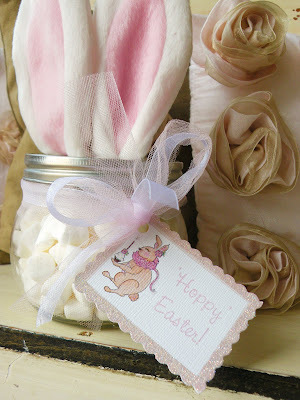 We just wanted to share a super easy, Easter DIY with you today! 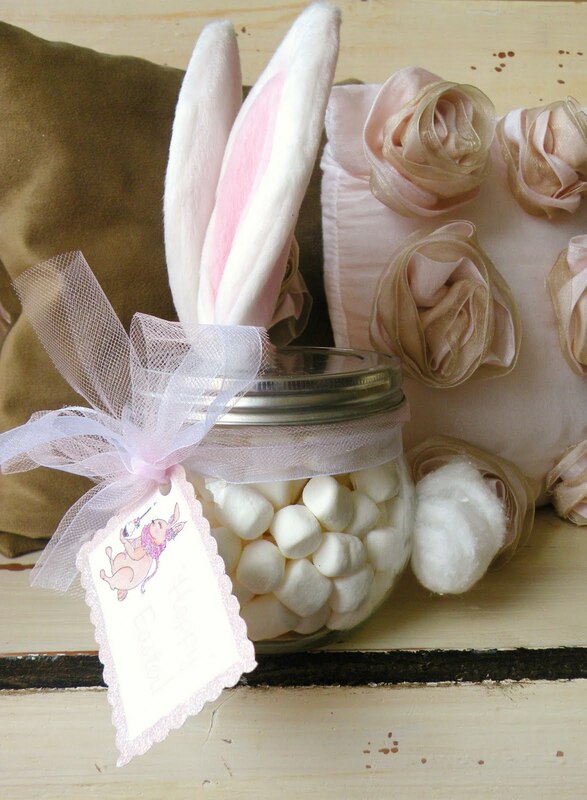 We bought a glass jar with a lid from Hobby Lobby and filled it with mini marshmallows. (Of course you can fill it with whatever you heart desires.) In the dollar bins at Target we picked up a little bunny ears headband and just cut off the "headband" part. We took the ears and hot glued them on to the top of the lid. Then just added a little "cotton tail"...and tied one of our "Easter" tags around the neck with some pink tulle and shear white ribbon! 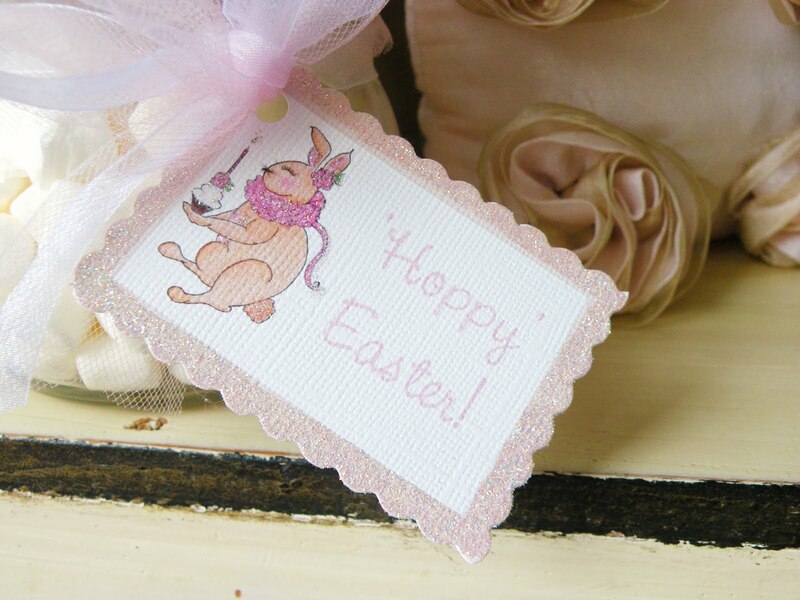 (Our Easter collection will be available soon in our Etsy shop). These would be so cute to have the kiddos make for grandparents for an Easter gift, or even to have as take home gift after a bunny or Easter party! Adorable!!! I can't wait to try one! Thanks for sharing! This is brilliant and adorable ladies! 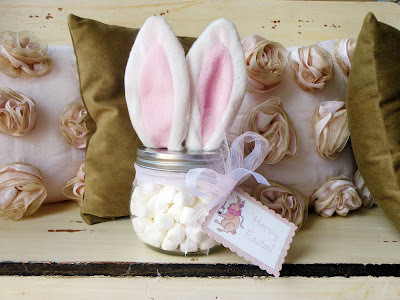 I have been eyeing those ears and could not think of a project!!! Thank you!!! This is just so stinkin' cute! Way to go. Please stop it!!! 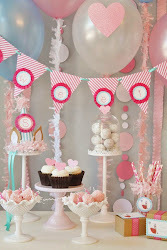 I will be featuring it on my blog today...this is awesome!!! Genius! 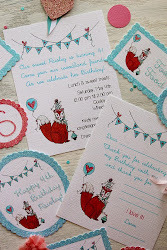 I have been trying to decide what to do for the nieces and nephews this year! Done!